SUN a Houston native made quite a name for himself with his last mixtape “Tunnel Vision” released in April of this year with the hit single “Round and Round” featuring Slim Thug and directed by Mr. Boomtown that eventually landed on MTV. No stranger to the industry, SUN honed his performance skills as an opening act on Eminem’s/50 Cent’s Anger Management 3 Tour, with Mobb Deep at this year’s Rock the Bells Hip-Hop tour, and on tours with G-Unit and Lil Scrappy. While honing his craft, SUN proudly promotes sobriety and he has never done drugs and no longer drinks alcohol. “I want people to know it’s cool to be sober and not do drugs. Who’s speaking up for those who don’t want to do drugs?” says SUN. 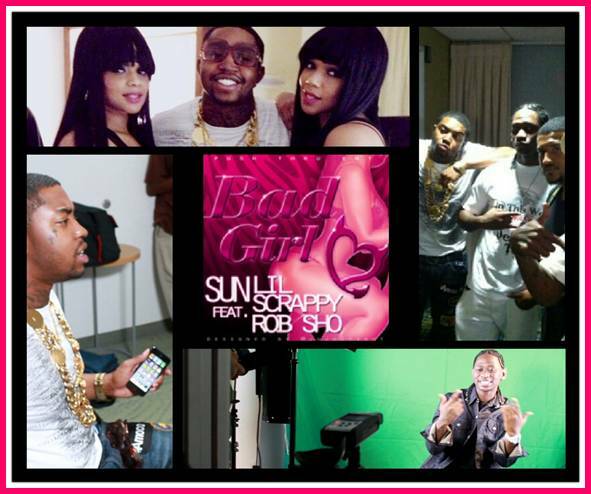 While preparing to release his new mixtape, SUN also plans to put out his debut album titled “The Cause and Cure” with the hot single and video for “Bad Girl” featuring Lil Scrappy in early 2013. The album will give fans a glimpse of his reality and who he is behind the music. His comical yet serious-natured, extreme personality shines through on every record. Check out the Behind the scenes video footage along with the photos from that days shoot. Stay connected with SUN online by following him on Twitter/Instagram @Sun_days.